Victoria Beckham has come under fire for kissing her five-year-old daughter on the mouth in a photo she shared on social media. But an Australian clinical psychologist warns the negative reactions to the post have the potential to do far more harm than an innocent kiss from mum. The former Spice Girl shared a photo of her kissing her daughter Harper to Instagram as she wished her a happy birthday. She was quickly inundated with hateful comments labelling the photo as “child sexual abuse”, with one going so far as to call Victoria Beckham a “child molester”. But Melbourne clinical psychologist Sally-Anne McCormack tells Babyology kissing your child on the lips is no more sexual than breastfeeding your child. “The only time kissing your children on the lips is bad is if you have cold sores or some kind of contagious virus,” Sally-Anne says. “There is nothing pornographic about it. I have heard people saying things like ‘it is confusing to a child’ but there is nothing confusing about kissing a parent on the lips. When it come to kissing children on the lips there are plenty of Australian celebrities also proudly sharing their sweet embraces on Instagram. 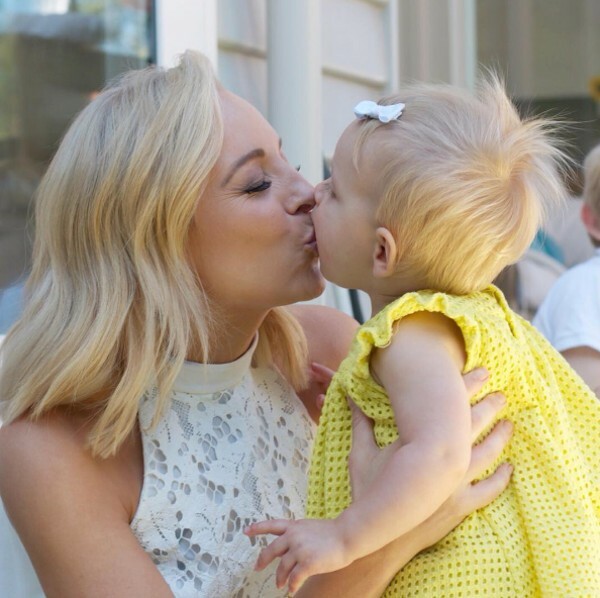 Television presenter on Channel Ten’s The Project Carrie Bickmore shared this photo of her giving birthday kisses to her daughter Evie. 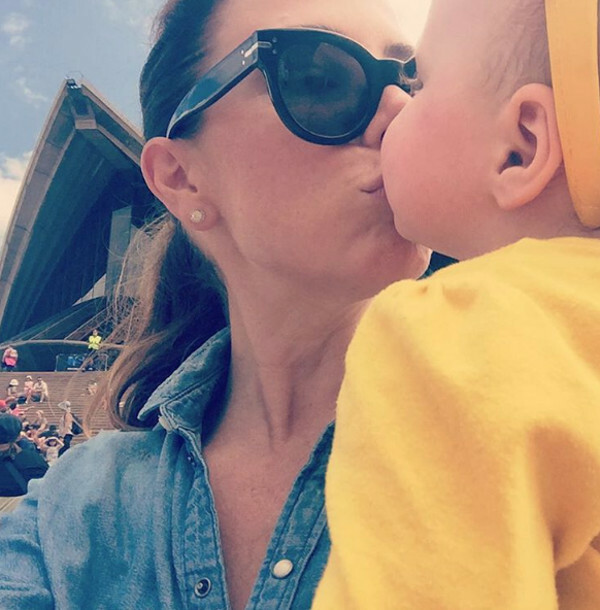 Actress and Nova radio host Katie Ritchie also shared a snap of her Australia Day smooch with daughter Mae at the Wiggles concert in Sydney. Television presenter, model and AFL WAG Rebecca Judd showed off the matching raincoat she and daughter Billie wore as they shared this sweet embrace. And actress Jodie Gordon shared a sweet smooch with her daughter Aleeia during a birthday visit to the zoo earlier this year. And dads also love kisses from their little ones. Jodie’s ex-husband, former NRL player Braith Anasta shared this photo of him kissing Aleeia, with the caption, ‘morning kisses are the BEST’. Sally-Anne says kissing a child is a sign of affection. “All children need to be hugged and kissed, and it is up to individual parents whether they kiss on the lips or not, there is absolutely nothing sexual about it,” she says. She warned online trolls about the harm they can cause. “What kind of message are you trying to send children, ‘you shouldn’t be affectionate with you parents’? That’s a terrible message,” Sally-Anne says. This is not the first time debate has erupted over the message children take from being kissed on the lips by parents. A US psychologist sparked a media storm when she spoke publicly about treating preschoolers threatened with expulsion for kissing their classmates. And recently Babyology reported on concerns mouth kisses from mum can cause cavities in children.